– At their first-ever encounter at NXT TakeOver: Brooklyn II, Shinsuke Nakamura beat Samoa Joe to become the new NXT Champion. There had to be some intriguing way to set up a reason to want to see the guaranteed rematch. Boy, did it happen here. A lot of credit for the opening in-ring segment with Joe and Nakamura. Joe did his best to make like he had turned a new leaf and learnt from his mistakes as Champion while he dealt with hecklers and claimed their words were deserved. He called out Nakamura and told him he had respect for him, that he was a worthy Champion. It had ended with the news that as soon as Joe was medically cleared to compete, he wanted his rematch. He called for a handshake before he went to the back as Nakamura posed in the ring. The shocker came the moment Joe ambushed Nakamura on the ramp and let loose his true intentions all along – to sucker the Champ into a sick attack. Now, it wasn’t quite to the level that Mark Henry did in 2013 with his fake retirement speech, but the key was that Joe said and did enough for us to let our guard down, even if we slightly felt an attack coming. They alluded to an attitude change ever since the show after TakeOver and that made the attack all the more buyable. Joe culminated his attack with a Bookend onto the steel steps before medical trainers took over and put the Champ on a stretcher. A cool mini-swerve that came off even better as it was played up like a legitimate injury, as we saw the Referee throw up the “X” and even Corey Graves came down from the commentary booth to check on Nakamura as did NXT General Manager William Regal. 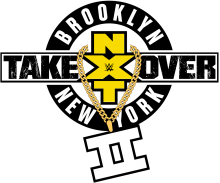 – With NXT TakeOver: Brooklyn II just within reach on the calendar, it was one show left and it promised a face-to-face encounter between NXT Champion Samoa Joe and Shinsuke Nakamura. How could you not get excited about that? On the surface though, we could tell it’d be one of those “special” episodes that served as a preview show to an extent. – At the time Hideo Itami got injured, he was arguably in the running for an NXT Championship reign. A year and a half later, he was back from the shoulder injury and possessed a fury of self-justice and redemption. The opener between Itami and Sean Maluta was all about Itami’s return while at the same time let Maluta soak in the NXT spotlight, since he came over from the Cruiserweight Classic. Also liked that the camera panned to Zack Sabre Jr., Tony Nese and Drew Gulak in the crowd to hype the CWC, as they were each First Round victors. Maluta wasn’t a complete afterthought, as she showed off some fierce kicks, but the purpose was obvious from the get-go and Itami didn’t miss a beat. Commentary smartly brought up that his career pre-injury had mirrored Finn Balor’s and was on route to Championship contention before he was sidelined possibly by Kevin Owens. Itami’s signature running knee finisher ended it. Tags: Alyah, Asuka, Bayley, Bobby Roode, Chris Adkins, Corey Graves, Drew Gulak, Ember Moon, Hideo Itami, Johnny Gargano, Mojo Rawley, Oney Lorcan, Samoa Joe, Sean Maluta, TakeOver: Brooklyn II, The Revival, TM61, Tom Phillips, Tommaso Ciampa, Tony Nese, Zack Sabre Jr.
– This episode was hyped in the opening video as “Fight Night” and rightfully so, because there were three noteworthy matches – NXT Champion Samoa Joe-Rhyno, American Alpha-Authors Of Pain and Bayley-Nia Jax. Should be an easy, fun episode.